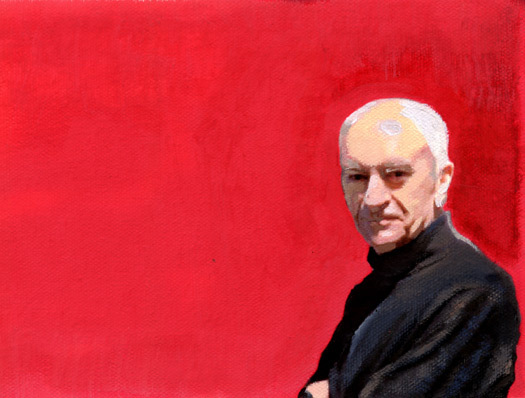 Massimo Vignelli was one of the few designers I had not personally met prior to our interview, and as a result, I approached the date of our meeting with a certain amount of nervousness. It didn’t help that this was also the only interview wherein I inadvertently stood my subject up. That’s right — I mistakenly scribbled down our mutually agreed upon meeting time in the wrong box of my crude, paper calendar and missed the meeting entirely. In fact, it wasn’t until many hours later that I even realized that I kept Massimo waiting for my arrival. Fortunately for me, he took it in stride, even going so far as graciously suggesting it was better that we didn’t meet that day, as something came up that he need take care of while he waited for me to show up. This alone highlights Massimo’s incredible spirit, his joie de vivre, his humor and his generosity. Universally considered one of the great design practitioners of our time, Massimo is also kind. He is a true gentleman. Not content with anything less than elegant, Massimo is erudite, exceedingly well mannered, charming, cute even. Yes, I said it: Massimo Vignelli is cute. He is also remarkably forgiving. When he left a message alerting me of our missed meeting, he also reassured me it was quite all right, and requested we reschedule. Despite my nerves, our subsequent meeting was delightful and we spent many hours talking about love, his wife and partner Leila Vignelli, the staying power of the American Airlines logo, vulgarity, his penchant for the color black and the typeface Bodoni, his protégé Michael Bierut, the friendship he had with Alan Fletcher, the perfect sofa and over fifty years in the business of design. How important, if at all, is writing to your work? Well, I write all the time. Of course, my English is limited and my writing follows my English. But somehow the writing is better; at least there is less of an accent! I am a maniac about being semantically correct. I find that when I write, I automatically look for the perfect word more often than I do when I speak. I want to have the exact word that says exactly what I mean as precisely as possible. DM: Why did you choose to live in New York? MV: It’s a long story. The quick answer is that we started the company with some friends here in the U.S., and we opened an office in New York. The person who was supposed to run the office got sick. I was in Milan at the time and I was commuting back and forth. I got tired of flying over twice a month, and so we [Vignelli and his wife, Leila] decided to come over and run the office for a while and then go back. We’re still here after 40 years. [Laughs.] We’re still here. New York is a fabulous city. It’s like a magnet. I can’t leave anymore. There is nothing that can compare to New York. And it is not even beautiful. There are hundreds, thousands of other cities that are much more beautiful. But there is only one New York. DM: What do you think contributes to making it so special? MV: It’s the energy. It’s the way people walk, it’s the way people talk. It’s the way people live. You know: In New York, people dress in black all the time. DM: Why do you think so many people wear black in New York? MV: Because of the image. DM: How would you describe it? MV: To begin with, black has class. It’s the best color. There is no other color that is better than black. There are many others that are appropriate and happy, but those colors belong on flowers. Black is a color that is man-made. It is really a projection of the brain. It is a mind color. It is intangible. It is practical. It works 24 hours a day. In the morning or afternoon, you can dress in tweed, but in the evening, you look like a professor who escaped from college. Everything else has connotations that are different, but black is good for everything. My house is covered in black. This sofa’s black. The chair is black. DM: Are all your clothes black? Do you wear all black? DM: So when did you make the decision in your life that you wanted to be a designer? MV: When I was 14 years old, extremely early in my life. MV: I went to a house of a friend of mine, and his mother had just finished redecorating. And all of sudden, I discovered that somebody was responsible for doing these kinds of things. Nothing happened by itself. That fascinated me. I went home and started to design. I read books and magazines about these things so I became more educated. And I got more and more involved, so that by the time I was 18, I knew exactly what I wanted to do. DM: Have you always been so driven? MV: Yes. It’s amazing, I have tremendous passion. Tremendous. Curiosity and passion. My passion is bigger, but my curiosity is equally as strong. DM: You never had any aspirations to do anything else? It was always to be a designer? MV: Exactly. I never thought of doing anything else. Not once in my life. Every book that I was reading, every preference was devoted to architecture and design. No technology or philosophy books. Very few novels. I don’t have a literal mind. DM: How would you describe your mind? DM: You have a visual mind? DM: What do you think is the difference between a literary mind and a visual mind? MV: A visual mind is interested in anything that you see, and a literary mind is interested in anything you think. A literary mind is interested in people. A visual mind is interested in things, objects, nature. This doesn’t mean that you look and don’t think. Of course, you do that, too. But a literary mind is more prone to thinking than looking visually. They like to read. They like to analyze things from a psychological point of view. Writers like this write about isolation, and some write about being together. Each one investigates one action of the mind. And the mind, being as complex as it is, is an endless source of investigation. DM: Do you feel your work is immediately identifiable as your work? Do you feel you have a style? MV: Yes and no. After many years of exposure, in some ways it is. My work has a certain discipline, a rigor, and a minimalist expression. I use a very limited choice of colors. [Laughs.] Primarily black and red. To me, black is black and red is color. That’s it. DM: And what about your preference for Bodoni? MV: Bodoni is one of the most elegant typefaces ever designed. When I talk about elegance, I mean intellectual elegance. Elegance of the mind. DM: How would you define elegance of the mind? MV: I would define intellectual elegance as a mind that is continually refining itself with education and knowledge. Intellectual elegance is the opposite of intellectual vulgarity. We all know vulgarity very well. Elegance is the opposite. DM: I have to ask: What would you consider to be vulgar? MV: Vulgarity is something underneath culture and education. Anything that is not refined. There are manifestations of primitive cultures or ethnic cultures that could be extremely refined and elegant, but don’t belong to our kind of refinery or culture. Culture is the accumulation of at least 10,000. You can really say that intellectual elegance is the by-product of refinement. One of the greatest things about vulgarity is that it tends to continuously disappear. My friend Umberto Eco wrote a book about beauty, and now he’s writing a book about ugliness. He told me the last time I saw him that it was much more difficult to write a book about ugliness than to write one about beauty. It’s the same with vulgarity, in a sense. DM: What do you think design is really about? 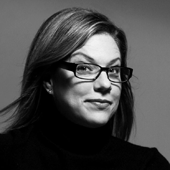 MV: Number one, design is a profession that takes care of everything around us. Politicians take care of the nation and fix things — at least they are supposed to. Architects take care of buildings. Designers take care of everything around us. Everything that is around us, this table, this chair, this lamp, this pen has been designed. All of these things, everything has been designed by somebody. I think that it is my responsibility to make the work better than it is. That is my number one priority. The second priority is to decrease the amount of vulgarity around by replacing the vulgarity with things that are more refined. When we work with clients, we make it quite clear from the beginning that we don’t intend to create vulgar things. Most of the time we don’t even have to say this; when a client comes in, they know what we are doing, and they want us to do things for them in this way. So we don’t have too much to fight over! But even in the client discussions, they can see that this is what we want to do. So what is design all about? It is to decrease the amount of vulgarity in the world. It is to make the world a better place to be. But everything is relative. There is a certain amount of latitude between what is good, what is elegant, and what is refined that can take many, many manifestations. It doesn’t have to be one style. We’re not talking about style, we’re talking about quality. Style is tangible, quality is intangible. I am talking about giving to everything that surrounds us a level of quality. DM: You use the word elegance in contrast to vulgarity. Where does beauty fit in this? MV: On the elegant side. DM: Do you feel that they’re intertwined? MV: Absolutely. They are simultaneous. There is no beauty in vulgarity. There can be fascination in vulgarity but there is no beauty. A vulgar woman is never beautiful. DM: Do you think there are equal amounts of fascination in vulgarity and beauty? MV: I’m not fascinated by vulgarity ever, but some people certainly are. A lot of people are. Take the phenomenon of Las Vegas. It’s fascinating, but the fascination is its vulgarity. Nevertheless, it’s fascinating. I swore that I would never go to Las Vegas, and when I went, I never wanted to leave. DM: Why do you think people are fascinated by vulgarity? MV: Because it is easier to absorb. Elegance is about education and refinement, and it is a by-product of a continual search for the best and for the sublime. And it is a continuous refusal of indulging in anything that is vulgar. It’s a job. DM: How do you know when you’ve created something that’s good? MV: It sparkles. It has a ring by itself. DM: A ring by itself? MV: When you start working on something, you are aiming for a specific target. You have the target in your mind and a bull’s-eye. And I try to aim at that bull’s-eye. If you hit it, you’re very happy. And that’s when you know that you’ve finished, that you’ve found the solution to the problem. DM: Do you ever have situations where you love something and your client doesn’t? MV: No. Because whatever we do answers a particular set of circumstances that is known to the client. You can see the answer right there. That’s why it’s called “the solution of a problem” in our jargon. The client comes with a problem, which is the same way we go to a doctor with a problem. The doctor analyzes you and gives you a diagnosis of the situation and then a cure to make you better. We do the same thing. We try to eliminate everything that is wrong in the same way a doctor does. He can see the symptoms of your disease. That’s what we do. We see the symptoms of the client’s disease, and we correct it. We keep what is good and throw away what is wrong. DM: How do you feel about companies or clients that insist upon doing a lot of market research? MV: I let them go. DM: You let them go? You don’t work with them at all? MV: I never work with middle management. Middle managers are dominated by fear of losing their job, and therefore they have no sense of risk. I always work with the top person, the president or the owner of a company. That’s it. Only the person at the top can take risk. He’s used to it. That is how he got to the position he is in. He understands what you are doing, and he doesn’t have to report to anybody. He makes his decision, and that’s the way it goes. I don’t believe in market research. I don’t believe in marketing the way its’ done in America. The American way of marketing is to answer to the wants of the customer instead of answering to the needs of the customer. The purpose of marketing should be to find needs — not to find wants. People do not know what they want. They barely know what they need, but they definitely don’t know what they want. They’re conditioned by the limited imagination of what is possible. But very often, when focus groups are conducted, marketers listen to ten people who say they don’t like something, and then they don’t do it. If five people out of ten say they don’t like, they don’t do it. The “researchers” never probe beyond why the people don’t like what they don’t like. This just builds a platform of ignorance. Most of the time, focus groups are built on the pressure of ignorance. Doctors do not operate this way. They don’t conduct a focus group to see if you have cancer or not. DM: Have you ever been afraid of failing? DM: No? You are not afraid of anything? MV: Vulgarity taking over. My life is a continual struggle, a continuous battle against vulgarity taking over. DM: Were you ever interested in being an artist? MV: No. I am a natural born designer. DM: How do you generally start a project? MV: By listening as much as I can. I am convinced the solution is always in the problem. You could do a design that you like, but it doesn’t solve the problem. Design must solve a problem. Then, the design is exciting. But I find it extremely difficult. This is why I respect artists. Without a problem, I don’t exist. Artists are lucky; they can work by themselves. They don’t need a problem. DM: How much collaboration do you have with Leila on your projects? MV: Sometimes we work on a specific project together. She has a very good, critical mind. As we say, “I propose, she disposes.” I’m the one who usually comes up with the initial ideas, and she’s the one who evaluates which is the best one. She determines if it’s the right or the wrong approach. If it’s the wrong approach, we’ll talk about which one is the right one and why. She also does many projects on her own. DM: Do you ever argue? MV: All the time. 100 percent of the time. DM: Would you say she’s your muse? DM: Do you have a muse? MV: That depends. Sometimes. But Leila is not a muse, no. She’s a critic. DM: How would you define love? MV: That’s a good question. Let’s see if I can define it. I haven’t been asked this in a while. I would say there are several layers. Love is a cake that comes in layers. The top layer is the most appealing one. This is the one you see first. Then you cut into it and you see many different layers. They’re all beautiful, but some are sweeter than others. How do I define love? I define it as a very intense passion on the one hand, and a very steady level on the other. The first layer, the one of passion, is the most troublesome. God, it’s a pain. MV: Because the more you love, the more jealous you get. You become jealous of everything, the air around the person, the people, a look, even the way they look at something. Then there is the extreme pleasure writing about love, as well. This is fascinating to me. The layer of correspondence — and the anxiety to receive answers. That is great. Finally you come to the physical layer. The emotion of receiving and conveying pleasure is sensational. It’s unbelievable how your entire body becomes a messenger. Your fingers, lips, eyes, smells. Your whole body becomes involved. Then there is the layer of suffering. Distance, remoteness, no presence, horror. The suffering of not seeing who you want to see, and not being with whom you love. This is another painful aspect of love. We are talking about pain. All these layers define love. I think that is why it’s so great and so extremely complex. DM: Have you been in love many times? MV: Well, in life these things happen. DM: When was the last time you cried? MV: Over the death of a good friend. It was a very short time ago. I am sorry, I can’t talk about it. DM: I’m sorry. Massimo, I’m so sorry. MV: That’s okay. Did you know Alan Fletcher? A great, great designer. So you have your answer. I cry about the loss of someone who could have continuously made a great contribution. DM: Do you think that there’s a common denominator to people who can make a great contribution? Do you think that there’s something that — . . .
MV: Unites them? Yes. What in Greek is called sympathy, the synchronization of pathos. You feel this incredible level of connection with these people. To a certain extent, it is equally comparable to love. DM: When are you happiest? MV: When something that I work on comes out well. That’s one. When I work with somebody who I love. That’s another. It doesn’t have to be a big love. It doesn’t have to be the major one. It could be a minor. [Laughs.] It’s like pain. I keep going back to this analogy with pain. There are pains that are major, pains that are minor. And there’s not one pain for life. Pains come and go. DM: When was the last time you got really angry? MV: I get angry when something is done wrong when it could have been done right. Work things that make me mad, if something has been done wrong: wrong colors, wrong type, wrong paper, wrong material, whatever it is — if it’s wrong. DM: What’s your best quality? MV: I don’t even know if I have any. Nothing. Which one of them I have? DM: What about your worst? What is your worst one? MV: My worst one? Ego. DM: You have a big ego? DM: Have you ever been in analysis or therapy? MV: No. No. I am happy. I don’t have psychological traumas to overcome. One of the great advantages of being so concentrated on your work is that it is all there is. Everything I do comes into this and enriches me. Everything, even every book I read enriches me. DM: Who do you feel is doing good work right now? MV: A good designer that I respect is Milton [Glaser]. I really like his way of thinking. He’s extremely talented. Brilliant mind, terrific mind. And of course, my Michael. Michael Bierut. My favorite designer right now is in Germany. His name is Pierre Mendell. Look for his work. He is a great one. He has such a great ability to synthesize. You were asking what I admire: I’m interested in “essence” — my major aim is really to get to the essence of the problem. And just throw away everything that’s not pertinent to it. At the end of a project, my work should be the projection of that experience, the essence of effect. It’s a habit that you get into. DM: How do you get to the essence? MV: The essence is what is left when there’s nothing else that you can throw away. DM: Is there anything that you haven’t done that you want to do? This interview was conducted in 2007 as part of Debbie Millman's book, How To Think Like A Great Graphic Designer. "By listening as much as I can. I am convinced the solution is always in the problem. " Great Man, I have his and Leila's autograph on a poster at home! ditto. He is a design legend and a great advocate of design. He is not only a good designer, but helps make good designers. I remember seeing Mr. Vignelli give a lecture titled "Discipline, Appropriateness, Ambiguity" during my senior year at Philadelphia College of Art (1981/82). Needless to say, the work he showed was fantastic. He was charming, erudite, urbane, charismatic, avuncular, and quite funny. Despite his obvious self confidence, there was nothing obnoxious or arrogant about him--that is, he was not the least bit vulgar. He simply was incredibly inspiring. That lecture helped cement my desire to be a designer and this wonderful interview reminds of that again today--thank you for posting it. I want to add that I find his clarity about the distinction between designer and artist and his candor about not wanting to be an artist very refreshing. Those are great things to hear from such an influential designer. Nice interview! Slightly touching subjects letting us know a little more about the person behind this great name. Thanks! Vignelli names Pierre Mendell as his »favorite designer right now«. I share Vignelli’s admiration – P. Mendell was a great man and a good friend, and I really learned a lot from him, both personally and professionally. Unfortunately, he died in December, 2008, after having suffered a lot in his last years (at the end, he was unable to move or to speak – but he still worked with the help of an assistant, giving commands with blinks of the eye. This interview was conducted in 2007 as part of a book of interviews with great designers. Very sorry that this wasn't noted. Thank you for sharing the interview.. it is quite insightful!! His analysis of "love" is one my best yet. Massimo you're sensational. Knowing Massimo, his principal never change. Clear and determine with plenty of passions. Great man and designer. Simplicity and logic. Aha yes - Elegance over vulgarity – the eternal struggle. Elegant people designing for vulgar people – vulgar people designing for (more) vulgar people, etc. After all this effort, do we have more elegance or more vulgarity? Or do we find ourselves increasingly trying to avoid the vulgarity much as one avoids puddles (or worse) on the street with a new pair of shoes? Mr. Vignelli, sono un vero tifoso, ma sono anche deluso - why all this admiration of black, which has become the default uniform of every "x" who professes to be a designer/creative person of some sort? Why would a designer, who should be sensitive to color, texture, contrast and taste reduce himself to a black – uniform? This certainly doesn’t mean we all have to dress like Karim, but true elegance should be able to manifest itself in much more than eternal black – which is too easy and has since become associated with numerous social groups that I would prefer to distance myself from as much as possible. Mr. Vignelli is someone I have admired throughout my entire career. I've read many interviews with him, and met him briefly last year when he spoke at an SVA function. What I find most unique about your interview is that you "humanized" him in a way that brought out both his strengths and weaknesses. Yes, he has an enormous ego. Yes, his notion of what is elegant versus what is vulgar seems a bit imperialistic. And yes, his suggestion that people rarely know what they want seems a bit arrogant. And like a good Italian dinner, while there's alway too much to digest, we eat it up and can't wait for the next meal. Thank you Mr. Vignelli and thank you Debbie (Buon appetito).